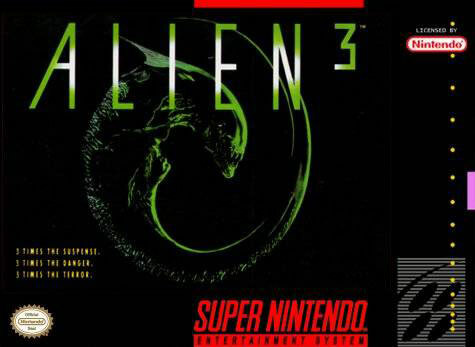 Based from the movie, Alien 3 for Super Nintendo features you to guide Lieutenant Ripley through Fiorina 161 prison camp in search of survivors...and aliens. Use weapons such as your pulse rifle, grenade launcher, and blowtorch. Play through six levels of intense side-scrolling action. Free the cocooned prisoners as you find them, but beware because the aliens are quick and relentless.